Catherine Lacey (Nobody Is Ever Missing), Akhil Sharma (Family Life), Francoise Mouly (art editor at The New Yorker), and Kate Zambreno (Heroines, Green Girl) discuss the acclaimed novel in celebration of its 30th anniversary. 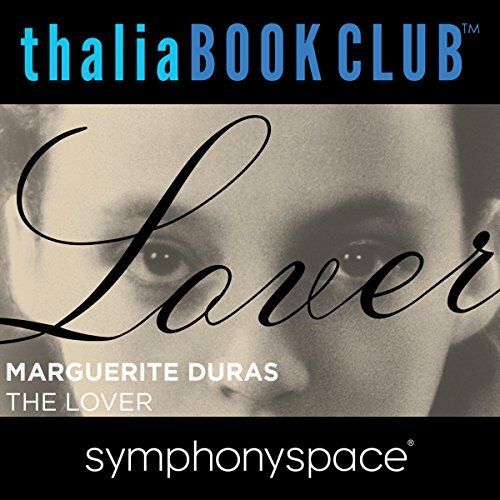 Marguerite Duras' (Hiroshima Mon Amour) haunting, luminous book tells of the tumultuous affair between an adolescent French girl and her Chinese lover in prewar Indochina. With a reading by Kathleen Chalfant (The Affair, Angels in America on Broadway). The views and background of the various speakers about the book was interesting, but I wanted to listen to the book itself. I’m not pleased. I wasted a credit on what I thought was the book. This is nothing more than a discussion of the book. I Thought this was the actual audiobook yall played me fr! It is literally some really boring people discussing the book, like who would actually wanna listen to that!